Right now the Winter Meetings are going on in Orlando. So far, Sandy Alderson has made it pretty clear that the Mets will not be making any big impact moves this off-season and if they walk away from those meeting with anything, it will be either be a reclamation project, such as Chris Young or Jeff Francis, or some lower profile players. Personally, I’m cool with that. I kind of buy into their plan to lay low this season and then make a real splash once all of that money comes off the books after the 2011 season. In the meantime, let’s look at the possibilities for the Mets starting rotation for this year. 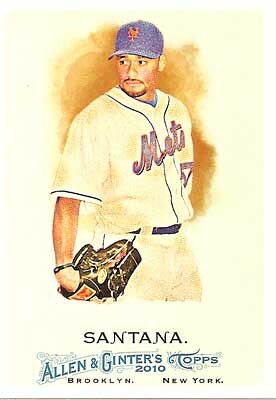 Johan Santana is recovering from left shoulder surgery and is expected to begin throwing in Februrary. If that is the case, he’s expected to miss the first half of the season. That’s a bummer, of course, but I sort of look at it as if you’re going to miss a major chunk of the season, it might as well be this one. I sort of expect that even when he does come back, he won’t be exactly Santana-like. I expect it to be more a full year of rehab for him, but hopefully that will set him up for 2012 when the team will be in a better position to compete. The one thing that does concern me is that after playing 3 seasons in New York, Santana has had 3 surgeries. After 2008, he had a torn meniscus in his left knee repaired. After 2009, he had bone chips removed from his left elbow. After this past season, it was shoulder surgery. Not being a medical person, I’m kind of confused as to whether it’s better that they were 3 different things than it would be if it was the same problem each time. My guess is that it’s better, but like I said, I’m no medical doctor person. 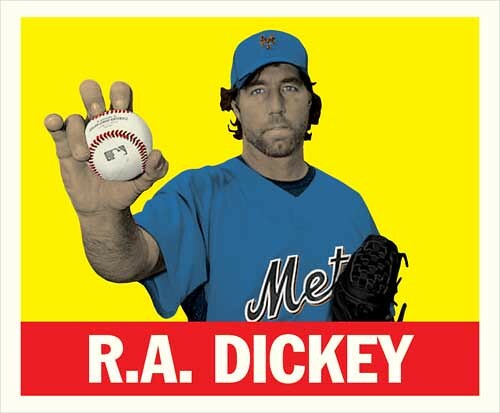 R.A. Dickey to me was one of the few bright spots of the 2010 season. He certainly became that one guy on the pitching staff that I made damn sure of watching all his starts. 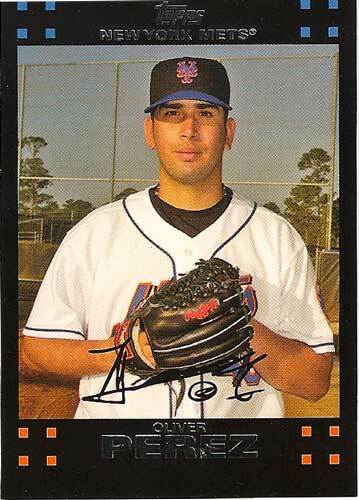 I was really glad to see the Mets offer him arbitration. Of course there’s always a bit of concern with a pitcher like Dickey, who’s never been terribly good until last year. Was it a fluke? Did he finally get the hang of the knuckle ball? Hearing him talk after games about his performances, I get the impression that he definitely knows what he’s doing out there, but I guess we’ll see. I personally expect more of what we saw in 2010. I hope. Otherwise, we could be in real trouble. 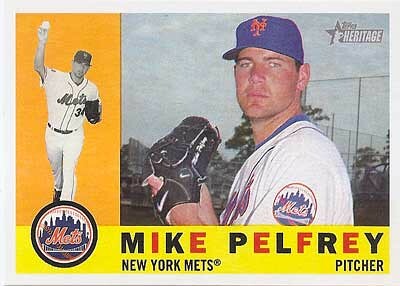 Mike Pelfrey was a bit of a confusing, and possibly confused, guy in 2010. For the first 3 months of the season, there weren’t too many better pitchers in the entire game. Through the end of June, he was 10-2 with a sparkling 2.93 ERA. He even managed to pick up a save in that epic 20 inning game against the Cardinals. July was horrific for him. He went 0-3 in 5 starts, all of which the team lost. His ERA also ballooned to 4.10, with 23 earned runs in 18.2 innings. 18.2 innings pitched over 5 starts was an alarming number as well. The rest of the season he seemed to settle down a bit, going 5-4, while bringing his ERA back down to 3.66 over 12 starts. In 9 of those 12, he pitched 7 innings or more. He ended up the year 15-9, which is pretty good, but after the start he got off to, could’ve been so much better. 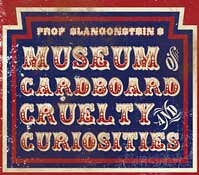 The question going into 2011 is can he figure out what the hell went wrong in July and do whatever takes to avoid it. 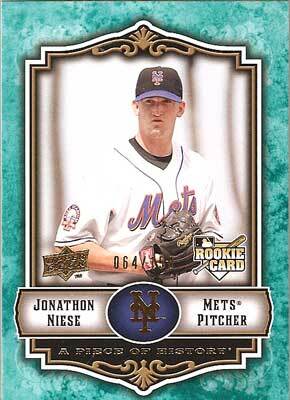 Jon Niese is another guy who had a very up and down season. In April and May, he started 8 games, but his record was only 1-2. On the other hand, the team went 4-4 in those starts and all of the loses were by 2 runs or less. Also, 2 of the games that the Mets won where he didn’t get a decision he gave up 1 run or less. That says to me that although he wasn’t stellar, he kept his team in the game. Something must’ve clicked in June, because he went 4-0, including an awesome complete game 1 hitter against the Padres. July, August and September were not so good for Jon. In the remaining 17 starts he made, his record was 4-8, with some really well pitched games, some stinkers and some just good enough games. I tend to chalk those last 3 months up to the fact that he’s never pitched a complete season so he probably fell victim to fatigue. If he can build up his arm strength and maybe figure out what it was that he was doing right in June, I think he’ll be okay. Everything I’ve read so far points to the rather sad fact that Oliver Perez will be in the Mets Spring Training camp come Februrary. I guess the thinking is that they’re paying him $12M (thanks Omar) anyway, they might as well see what he can do. I guess that’s true enough, but I just don’t see him doing anything that would justify him taking up a spot on the bench. I’ve also been reading about the possibility of using Ollie as the world’s most expensive relief pitcher, but we all saw how well that worked out on the last game of last year. I say give him his $12 million and then file a restraining order on him so that he can never set foot in Citi Field again. After going through those 5 guys, we’re left with 3 guys that I expect to see in the in the starting rotation come April, 1 spot left to fill until Santana comes back and 1 spot left to fill for the year. Without going outside of the organization, there are a few options, although not too many. 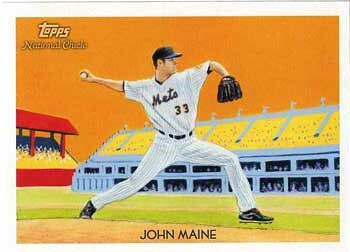 The Mets non-tendered John Maine a week or so ago, but that doesn’t mean they won’t resign him, probably at a lesser salary. On one hand, outside of 1 really good year in 2007, Maine hasn’t accomplished a whole lot during his tenure in Queens. The last 3 seasons have been one big tangle of injuries, rehabs and false starts. Maybe it’s time to cut ties and have a fresh start for both the team and John. On the other hand I kind of feel like the Mets have paid for all these medical procedures and extended rehab stints so it would be nice to get at least some sort of return. In the end, if they could work it out, I wouldn’t mind seeing Maine in spring training camp and see what he’s got. I’d imagine if he didn’t have what it takes to continue starting, and he were open to the idea, he could be a valuable addition to the bullpen. 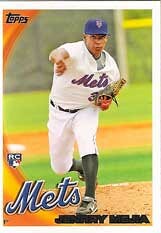 Jenrry Mejia is an option, although one that I would hate to see them go with. After watching him pitch a few times last year, it’s pretty obvious that he’s got a ton of talent, but is nowhere near being ready to start in the big leagues. Thankfully, I’m pretty confident that that’s how Sandy Alderson sees it as well, so I doubt we’ll be seeing Mejia in Queens any time soon. 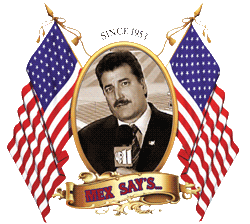 If Omar was still in charged, I might expect it, but with Sandy, not so much. Dillon Gee and Pat Misch are 2 other starting pitchers in the Mets farm system who saw some action last year in the Majors, and could be internal candidates for starting rotation spots. 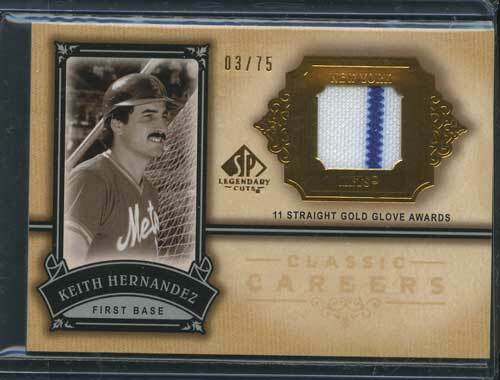 Gee was a September call-up who made 5 starts with the Mets and went 2-2, although I think he pitched better than his record would indicate. He averaged 6.2 innings in every start and had a 2.18 ERA in those 5 starts. The Mets also only put 2.8 runs on the board on average during his starts. Pat Misch was not spectacular starting for the Mets last year. In 6 starts he went 0-4 while giving up 13 earned runs in 33.2 innings. He had much better results out of the bullpen though, making 6 appearances and giving up 0 runs. I think maybe Gee has a shot at the rotation, but Misch, if he stays with the big club at all, would be better served out of the bullpen. As far as looking outside of the organization for pitching help, which after running through their options looks like will be a necessity, I think the team is a little handcuffed. After taking into account all the money they’re shelling out for existing contracts, good and bad, they estimate they only have about $5M to play with, which is nothing. Thinking about their options, I would bet that they end up signing a guy who was good a while back, but is coming back from injury or something. Luckily for the Mets, there seems to be a few guys like that floating around this year. Brandon Webb, Jeff Francis, Chris Young and Chien Ming-Wang all fit that description. Everything I’ve read indicates that they consider Webb too much of a risk since he’ll likely cost more and are more inclined to go in the direction of Francis or Young. Wang sounds like he’s finally healthy and is looking for a 1 year guaranteed deal. My guess is the Mets would rather offer a minor league contract and see how things shake out. Regardless of who they go for, I’d imagine pitching at Citi Field would be a big boost to their results, but it would still all come down to how healthy they are and how they rebound from whatever injury they suffered from. I guess this is where we’ll see Alderson earn his pay. On a separate note, I read that the Mets were interviewing Andy Van Slyke for the hitting coach position. That’s cool and all, but I know who I would hire for that job if I were the GM. I’m beginning to think that the rotation will be Pelfrey, Niese, Dickey and some combination of Pat Misch, Dillon Gee, Oliver Perez and Jenrry Mejia. I don’t even think they’re planning to spend the money for a reclamation project any more, unless somebody will take a 1-year, $1 million deal in January. I’m cool with Gee, but I don’t want to see Ollie in there for obvious reasons. I’d rather see Misch out of the pen, and I’d much rather see them let Mejia pitch in the minors and hopefully be ready when the team is actually in a position to maybe make a run.